I have been experimenting with different phones and apps for creating a 360° spherical panoramic image. Below are my recommendations. In addition, once your students or you create a 360° image, please ask to join my Flickr group, 360 Images for Schools, Creative Commons-license your image so others can use it, and upload the image to the Flickr group. I have found the $1.99 360Panorama app works the best for the iOS devices. 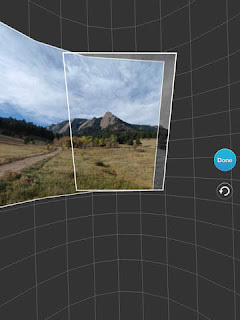 If you take your time, and make sure to move your feet carefully as you take the images you need to take, the resulting spherical panoramic image will work great with a Google Cardboard viewer or online at ThinglinkVR, Roundme.com, or Facebook. You may have to resize the image to a 2:1 resolution (i.e. 1000 pixels by 500 pixels) via an image-editing app for some hosting sites. In your image-editing app, just pick to not constrain the current resolution before resizing. You can also use the Google Street View app on iOS and save the resulting spherical panoramic image to the iOS Camera Roll. You don’t have to put it up on a Google Map. Of course, Google Street View is a good option on the Android phones, too. Again, you can decide to save it to the Gallery on the phone and not share it on Google Maps. The Nexus phone came out with a camera app (Google Camera) that included a spherical panoramic image as a built-in option right in the camera app itself. It is possible to install this camera app on an older Android phone with at least the v.4 operating system and it will not replace the existing camera…just add an additional one. And it does not require rooting your phone! 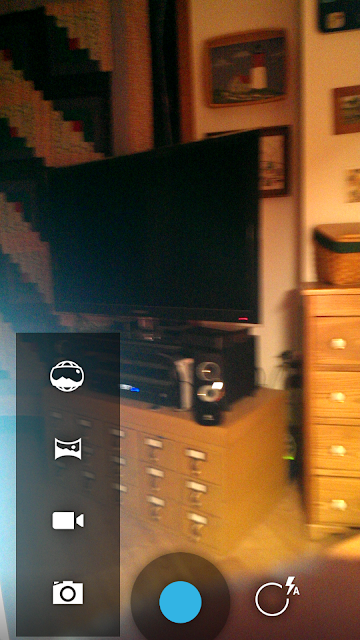 Remember, if your Android phone does not have an accelerometer and gyroscope, it cannot create a photosphere. The less-expensive Android phones do not usually have these built-in hardware features, and you should check your cell phone manufacturer's full specifications to determine whether it does. Don’t forget to share your 360° images with other educators and students via the 360 Images for Schools Flickr group! And, take the time to look at the resources on my AR/VR Web page.